In this updated post, we look at whether guinea pigs can eat limes and lime leaves. 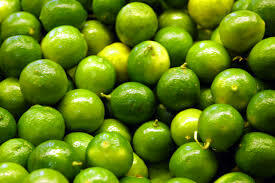 Limes are a similar shape to lemons except they have bright green skin which is smooth. They have a very distinct smell and flavor which means it is used in a large number of different culinary dishes and situations all around the world. They are available all the year round as a fruit and are at their best when they are unblemished with a firm texture which means that they will feel heavy for their size. The heavier they are, the juicier they are. They measure between three to six centimeters in diameter. Lime juice makes things taste fresher. I use it for drinks, salsas, relishes, soups and sauces. You want to give it to your limes – firmness means that the inside is dry – and they’ll stay softer for longer if you don’t refrigerate them. So limes aren’t a fruit that I necessarily like but they look great and taste brilliant as an accompaniment in a soft or alcoholic drink. I know there are a lot of people out there who love limes and have no qualms in eating them. So if humans can eat limes, can guinea pigs. If they can, how much can they eat? Lets find out by taking a look at its nutritional data. As per usual, take a look at its sugar, calcium, phosphorus, oxelate acid, and fat content to see whether it is any good for guinea pigs. As you can contains a little phosphorus, calcium, and a little sugar. It also contains a very good amount of vitamin c which is fantastic for our guinea pigs. Because of this, guinea pigs can eat limes but not too regularly because of its phosphorus, sugar and calcium content. But the vitamin c content makes it worthwhile for guinea pigs. However, do be careful with feeding them to your cavy. Just like if we have too many of them, guinea pigs can also get tummy trouble from eating them. So don’t feed them too much. One or two segments at the most twice a week should be sufficient. Another hurdle to overcome is that they are of course very sour. So they may not take to them at all. So we’ve looked at limes, what about lime leaves? Lime leaves are sometimes called kaffir lime leaves and are fragrant leaves of the wild lime tree. They are used a lot in Thai and South East Asian cuisine much like bay leaves are. Lime leaves are joined tip to end and create an unusual figure of eight shape. Unfortunately, they cant’ eat them. Lime leaves are just too spicy and citrusy for piggies to eat and should be avoided as a food to them. Rye grass is a species of grass that is often used for lawns. It is also used as pasture land for grazing and hay for livestock, and as a highly nutritious stock feed. It is characterized as fast to establish and hardwearing. Rye grass is also tolerant of cylinder and rotary mowers and grows well in cold or damp conditions. It does not like shady or dry conditions. It is used widely throughout the United States but does differ depending on the region. Long Italian rye grass tends to have an endophyte fungus to kill grass grubs and black beetles but is toxic for forage eating animals such as dairy cows. Also, Rye grass seed does have nutrients that we quote like but it, not something that humans would eat as such. So what about if Guinea pigs were to eat Rye grass? Especially if they were out in a lawn which contained Rye grass. Yes, they can eat it, however, beware of them eating too much of it as they can get a tummy ache and their poop becomes more and more squiggy as a result. Although this is something to be aware of, my experience is that Guinea pigs will stop eating when they just can’t eat anymore, just like us really. However, because they love to eat it they will always try and eat as much as they possibly can. What’s the best grass for them to eat? Dry grass or hay is the best for them in this regard. Timothy hat or meadow hay is a far better grass to give to them. 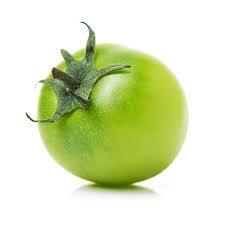 It has much more beneficial nutrients and does not have anything detrimental for them if they eat it. It is great for them to eat to grind their teeth on and they will enjoy chewing away on it. From my experience, they enjoy the greener hays rather than the browner hays which you sometimes find so it’s recommended that you go for greener varieties. Hamsters are creatures that many guinea pig owners have in addition to their piggies. They are extremely cute pets, are low maintenance and don’t cost very much to maintain. Hamsters also don’t take up very much space. Their cage can be put in a corner of your home to enjoy the warmth of the environment that they are in. They are nocturnal creatures who much prefer to do their activities during the night time and then sleep during the day. This means that they are very noisy at night as they love to run and will often be found on their hamster wheel. The sound of a whirring hamster wheel will often be heard during the nighttime hours. This is why it is a bad idea not to sleep in the same room or near the place where a hamster is kept. 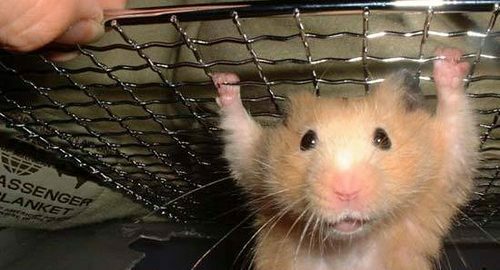 Hamsters are not social creatures and most species that are bred in captivity only prefer to be kept alone. The most popular breed of hamster is the Syrian hamster and they are very much solitary creatures. Hamsters don’t tend to live for that long, between 2-3 years at the very most and so you really have to make the most of the time that you have with them. 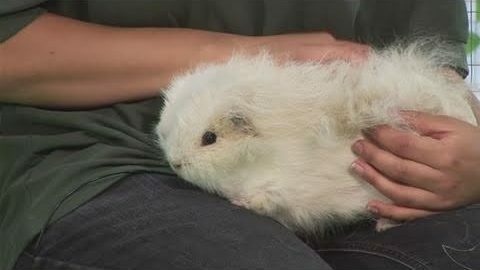 So what happens when you have both a hamster and a guinea pig. Can economies be made so that it is easier to put them together? They are two different types of creature. Guinea pigs are very social animals. They enjoy the company of other guinea pigs and spending time with them. They do not like living alone that much and do much better when in the company of others. Their quality of life increases when they spend time with other piggies. The social interaction and help they give each other gives them life. Hamsters, on the other hand, prefer to live in solitary situations. Most hamsters do not enjoy the company of others, even the same types of hamster. If they are to live with anyone, it is their own kin who they have grown up with since birth and haven’t been separated from. When they are put with other creatures or stranger hamsters, they get agitated and aggressive. Putting a hamster and a guinea pig/s together could be disastrous for both creatures from a social point of view because of these reasons.